Grease + grime don’t stand a chance. not with the cutting-edge green chemistry of powergreen technology in your grasp. 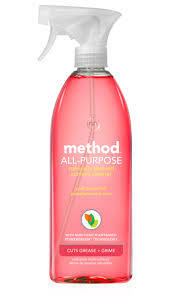 Method All Purpose Spray is a powerful surface cleaner made with naturally-derived surfactants. It works by absorbing dirt rather than chemically degrading it. 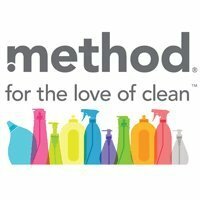 And Method is biodegradable so you can clean your home without flushing super-toxic chemicals down the drain into our rivers, lakes and oceans. Its cleaners, derived from corn + coconut, break down dirt naturally, so every spray leaves nothing behind but a fresh scent + gleaming clean. knock out dirt with the power of plants. 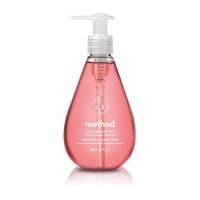 ​The Method All Purpose Spray will clean like heck and smell like heaven. And leave you reassured that you haven’t been messing around with chemicals that are bad for your home as well as for you and your family. 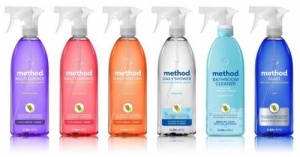 Method products guarantee not to fill your home or the environment with toxins. Aqua,caprylyl/capryl glucoside, sodium gluconate, sodium carbonate, parfum, ctric acid, linalool, potassium hydroxide, colorant. When we talk about cleaning, this, we recommend to all our friends. Excellent for grease & oily stuff. Can recommend it! So great to have an all purpose cleaner, that has no chemical smell, smells gentle & fresh and is eco friendly. 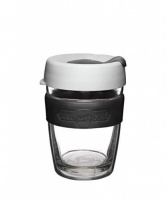 Ideal for the endless cleaning with a messy toddler getting food mess on every surface table, floor, high chair etc. I am so happy with this cleaner, it cuts through grease like no tomorrow. 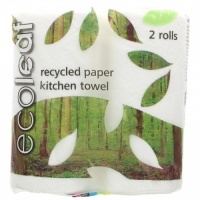 I've used it on glass, wooden tables and counters and it has been so easy and smells great. better than off the shelf brands. Can't stress enough just how gorgeous this smells. 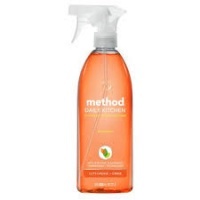 A brilliant cleaner, like all the Method products. First time using this product. It is so nice to use a cleaning product without the strong smell of chemicals. Fantastic product, amazing fresh smell! I bought this after being very happy with the Clementine version, this is also really effective and pleasant to use. I will repurchase these. 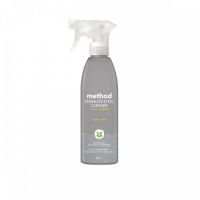 I recieved 2 of these method surface cleaner's last week, after hearing great reviews, and im delighted with them! with 4 kids under 6, its really reassuring that im not spreading chemicals everywhere. when I spray these you can automatically smell the difference with no toxins. shipping was fast, and Ill definetly be recommending these to friends and buying again! So glad to have found a cleaner I’m happy with using that doesn't leave the kitchen stinking of vinegar. This is great on mirrors and stainless steel too! I absolutly love this spray which replaced my surface cleaner, bathroom cleaner, kitchen cleaner, toilet cleaner, glas and window cleaner and desinfectant floor wipes. It leaves lovely smell and shiny sufaces. Cleaning mirrors is a piece of cake... Now it is possible to have just one spray for everything, from mirrors to the floor, fantastic!! !